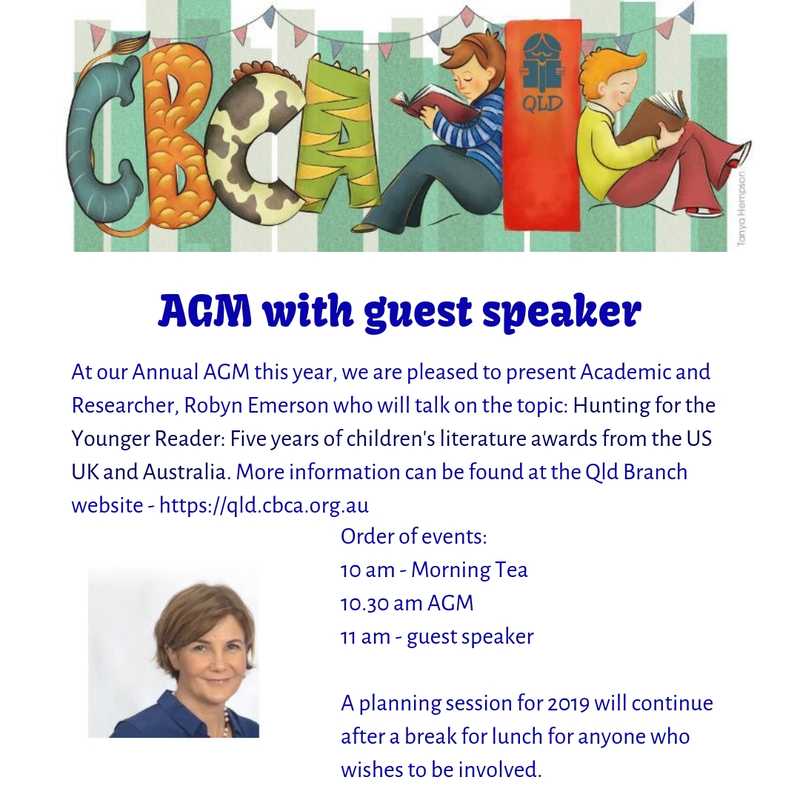 The CBCA (Qld Branch) AGM will take place on Saturday, October 20, 2018 in Meeting Room 1b on the ground floor at SLQ, beginning at 10 am with morning tea. Following the formalities, we will be joined by Robyn Emerson, Academic and Researcher, who will speak to us about her research on writing for children aged 8 - 12. More details are included on the TryBooking RSVP form. We will continue after lunch with our planning day formalities and would love to see some new ideas about how to engage with our community in coming years. 2018 Annual Report CBCA (Qld Branch) Inc.
2018 CIRCULAR this includes the formal notification letter, an outline of the executive roles, the proposed agenda and nomination forms and proxy vote form. It also outlines the deadlines and timelines to submit the forms. We encourage members who might be interested in becoming more active in branch activities to attend and to join us, as 2019 looks to be a year where we focus on readers cup and OneCBCA progress. Here is the list of positions for which we have nominations.